......where we will aim to keep you up to date about our in-school opportunities and sessions. We are very proud to have achieved GOLD School Games Mark for 2016-17. This year (2017-2018) we are extremely fortunate to have Mr Murphy, a sports coach in school supporting our teaching staff in Nursery, Reception and KS1. Lessons focus around the teaching of the fundamental movement skills thorough fun and energetic games which the children are thoroughly enjoying. Mr Murphy also leads a 'get moving' lunchtime club for the children in Reception and Year 1 and coaches our after school rugby club on a Tuesday. We we also continue to have Callum from Southport Football Club coaching our girls and boys football teams on a Thursday and Friday after school. page for details of those too. These include - netball, gymnastics, taekwondo, dance, football and more throughout the year. We're sure that you all agree, that in order to live full and active lives, children need to be encouraged to take part in as much physical activity as possible in a fun, enjoyable way. Here at Birkdale, we take this belief from the beginning of your child's school life and aim to provide them with many opportuniites for developing their physical skills, from outdoor play sessions in Nursery and Reception to our orienteering in Upper Key Stage 2. Taught sessions throughout the year include games, dance, gymnastics and outdoor adventure sessions. 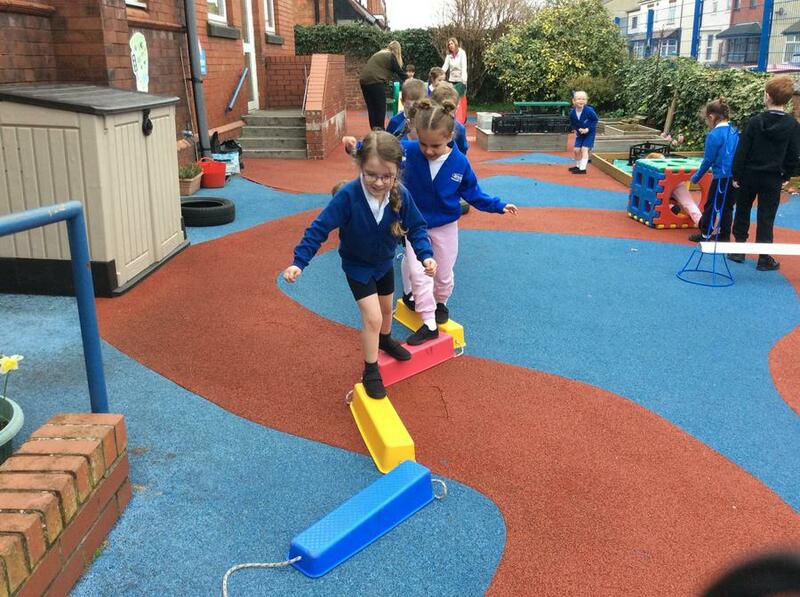 In Nursery and Reception, children continuously have the opportunity to be physically active whether this is through daily outdoor play sessions or when taking part in weekly PE sessions. Children are taught their fundamental movement skills, through the Lancashire Scheme of Work for Early Years. Learning outcomes are referenced to the Development Matters in the Early Years Foundation Stage through the prime area of Physical Development:Moving and Handling. The fundamental movement skills are; skipping, running, throwing, catching, striking, rolling, hopping, kicking, balancing and jumping. 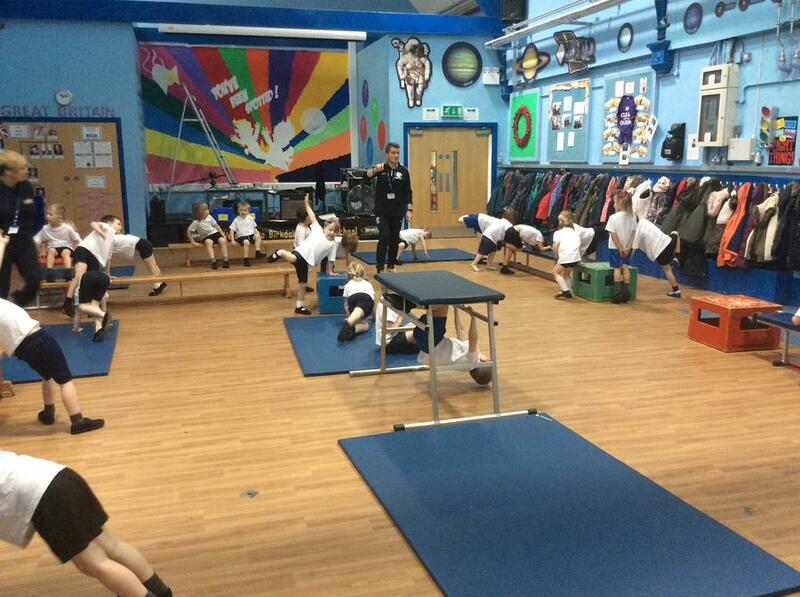 Key stage 1 Pupils, through the Lancashire Scheme of Work for KS1, are taught to develop fundamental movement skills, become increasingly competent and confident and access a broad range of opportunities to extend their agility, balance and coordination, individually and with others. They are given the opportunity to engage in competitive (both against self and against others) and co-operative physical activities, in a range of increasingly challenging situations. Key stage 2 Pupils continue to apply and develop a broader range of skills, learning how to use them in different ways and to link them to make actions and sequences of movement. They enjoy communicating, collaborating and competing with each other. They develop an understanding of how to improve in different physical activities and sports and learn how to evaluate and recognise their own success. Remember, for safety reasons, no jewellery should be worn for PE including earrings. If earrings cannot be removed, microporous tape to cover them should be included in your child's PE bag. Please click on the link below for latest news and photographs of events. Sainsbury's School Games For all the latest news please visit our blog. This will include competition information and photographs of latest events. Our new curriculum maps follow the Lancashire Scheme of Work for Physical Education.